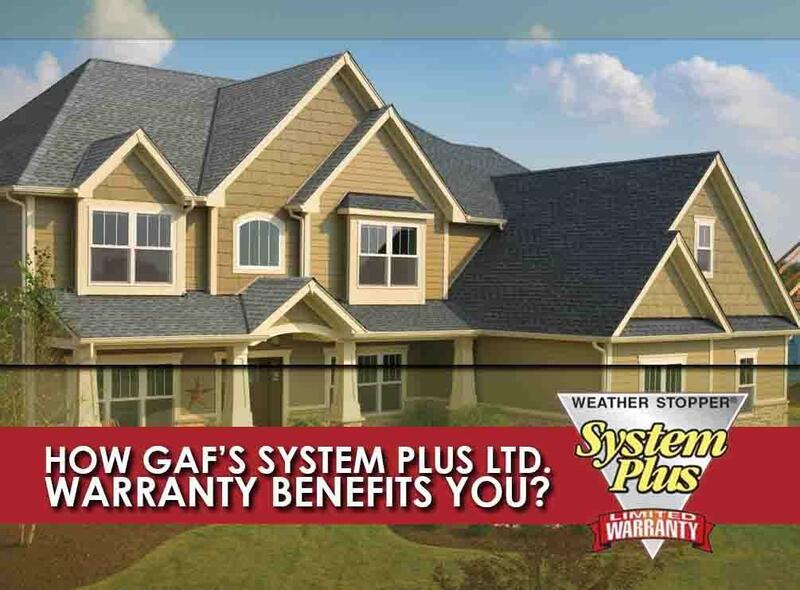 Home / Roofing / How GAF’s System Plus Ltd. Warranty Benefits You? How GAF’s System Plus Ltd. Warranty Benefits You? When buying a new roof, investing in GAF’s Weather Stopper® System Plus Ltd. Warranty is a great decision. For just a few extra dollars, you can protect your major asset beyond its expected lifespan. Unlike GAF’s typical 10-year, shingle-only coverage, the System Plus Ltd. Warranty provides protection for your entire roofing system for 50 years. On top of your Lifetime Shingles, this warranty covers the key components of your roof, which are critical to its long-term performance. The accessories it protects include GAF’s roof deck protection, leak barrier, starter strip shingles, attic ventilation, and ridge cap shingles. In case your roofing components fail due to material defects, the necessary roof repair in Maryville, TN, is free. The System Plus Ltd. Warranty wouldn’t stop protecting your roofing investment once its 50-year manufacturing defect coverage is over. In years 51 and beyond, GAF will shoulder 20% of the repair costs. This would apply if you buy Timberline® and Designer Lifetime shingles. This generous coverage serves as your major asset’s insurance for a lifetime. It adds tremendous value for your money, reducing the life-cycle costs of your residential roofing Maryville, TN, for as long as you have it. If ever the repair deems tearing off roofing materials is necessary, the System Plus Ltd. Warranty would cover the labor cost. Many manufacturers guarantees exclude this expense, forcing you to pay for the service out of your pocket. You’re not required to get the System Plus Ltd. Warranty, but it’s definitely something you should consider if you’re spending thousands of dollars to have a new roof overhead. Learn more about the System Plus Ltd. Warranty by calling Innovative Roofing and Siding today at (865) 688-2888 to schedule your consultation at your convenience.